Good morning and HAPPY FRIDAY, friends! 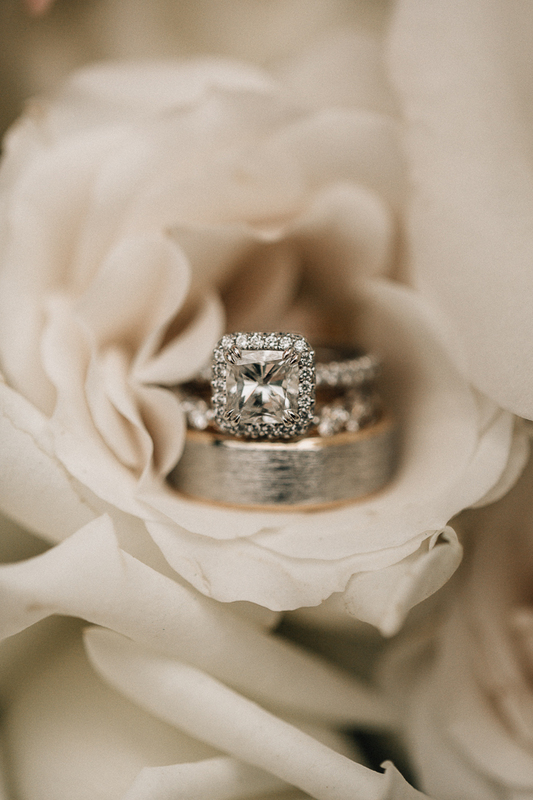 I’m so excited to be sharing another wedding post today, this time about our wedding bands! Chris and I got our bands from Diamonds Direct, the same place that Chris got my engagement ring more than a year ago. Shopping for wedding bands was quite an experience, since Chris had NO idea what he wanted (which I’m sure is normal for most guys!). I, on the other hand, knew exactly what I wanted – this stunning Henri Daussi infinity band (photos can’t even do it justice you guys!). 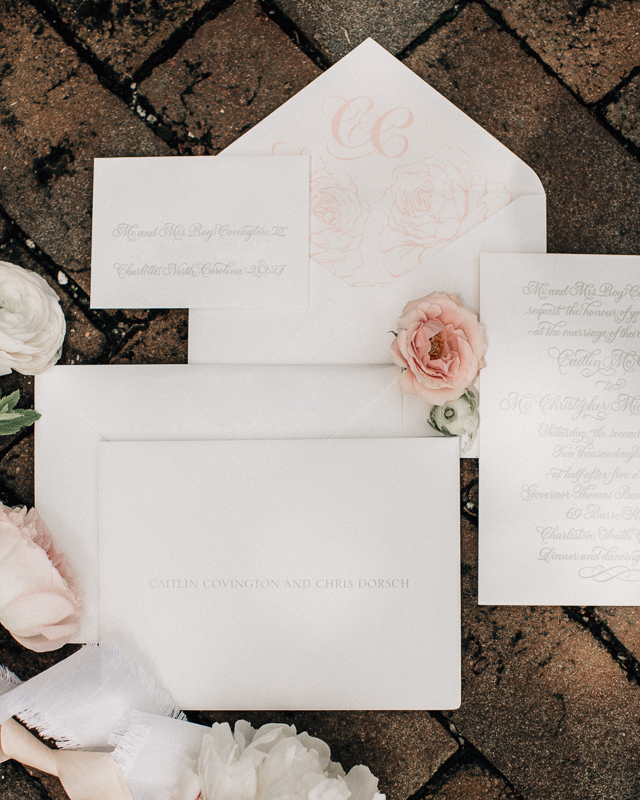 Since this was a really special process for Chris, he actually volunteered to write this post…. (yes I am just as surprised as you all, hahah). Chris will take it from here! This may come to a shock to some of you, but I am not a shopper… I try to spend the absolute least amount of time in the store as I possibly can. Whether it’s grocery shopping, shopping for clothes, or even online shopping, I try to get what I need and go about my day as quickly as possible. Needless to say, engagement ring shopping terrified me. For one, I know nothing about engagement rings, or jewelry for that matter. It’s completely out of my wheelhouse. Luckily, most of my friends “took the plunge” before me, and were very helpful with giving me advice on how to get started. 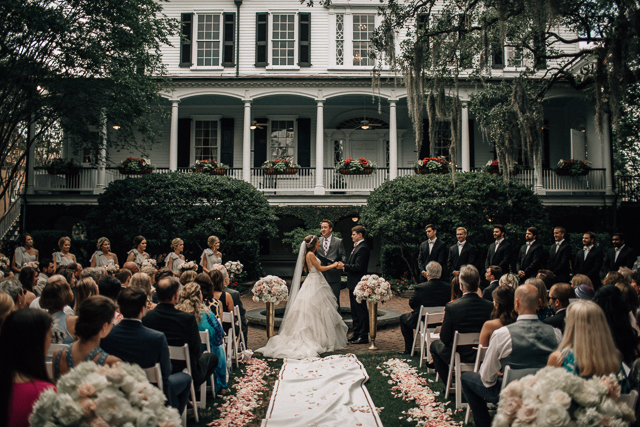 I talked to a countless number of friends who have been married within the past couple years, and they all had one thing in common… they went to Diamonds Direct for their engagement ring. Because I know nothing about jewelry, Caitlin and I went to Diamonds Direct together for the first time so that I could get an idea of what she wanted. As soon as we walked in, I knew this was the place. As naïve as I was to the whole “ring shopping experience,” it was like walking through the closet to Narnia. It was a completely different world. I had no idea that there were so many different styles, colors, shapes and characteristics of rings. I definitely felt overwhelmed, but everyone was extremely helpful with showing us the large selection and explaining the “4 C’s”, so even I could understand. 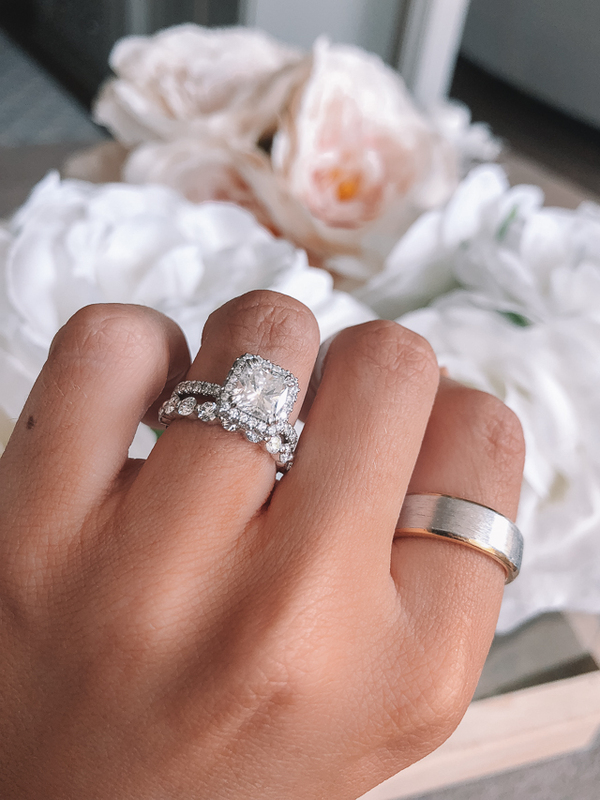 When the time came to actually buy engagement ring, I, naturally, went back to Diamonds Direct and worked with the same team that had helped us earlier. Once I had purchased the perfect engagement ring, I thought I was made. Caitlin eventually said “YES” to become my future wife, and we were full in the wedding planning stages (that experience is a whole other story). Then, the question came…. “What do you want your wedding band to look like?” I knew nothing about engagement rings for her, but I surprisingly knew even less about wedding rings for me. I had no idea what I wanted to wear for the rest of my life, I hardly knew what I wanted wear to work the next day. The only thing I knew for sure was that we were going back to where it all began. Caitlin and I unanimously agreed that we were going back to Diamonds Direct for our wedding bands. At this point, I felt like a veteran in the ring buying game, so I went into the store thinking I knew what I was doing. I hadn’t looked at rings for myself in my previous trips, so I was in awe of all the wedding ring selection. From conversations with my friends, I knew about the different styles, but when it came down to it, I didn’t know what was right “for me.” Silver? Gold? Platinum? Brushed Platinum? Diamonds or gemstones? I had no idea. Thankfully, Diamonds Direct was there, yet again, to save the day. Looking back on it, I must have looked like a kid in a candy store, excitingly overwhelmed with all the possibilities. 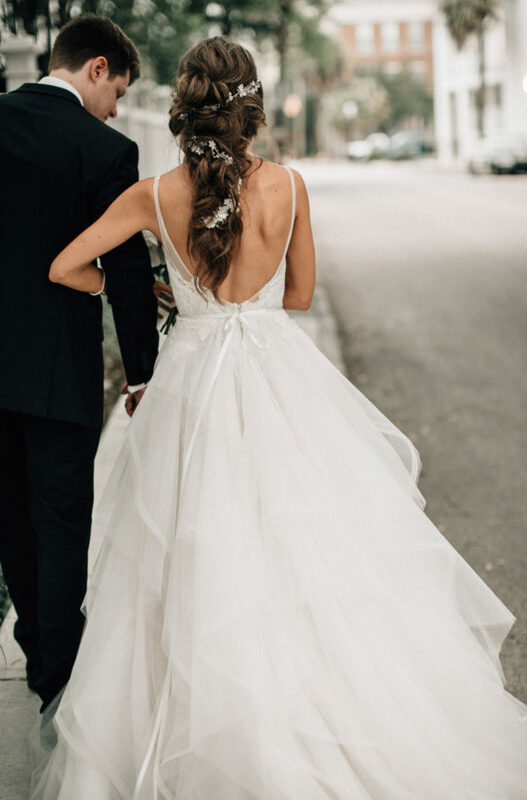 The team we worked with was so helpful with helping answering all of my questions and giving me a large selection of different styles and designs to try on. She may kill me, but I was more indecisive than Caitlin is at a fast-food drive thru. 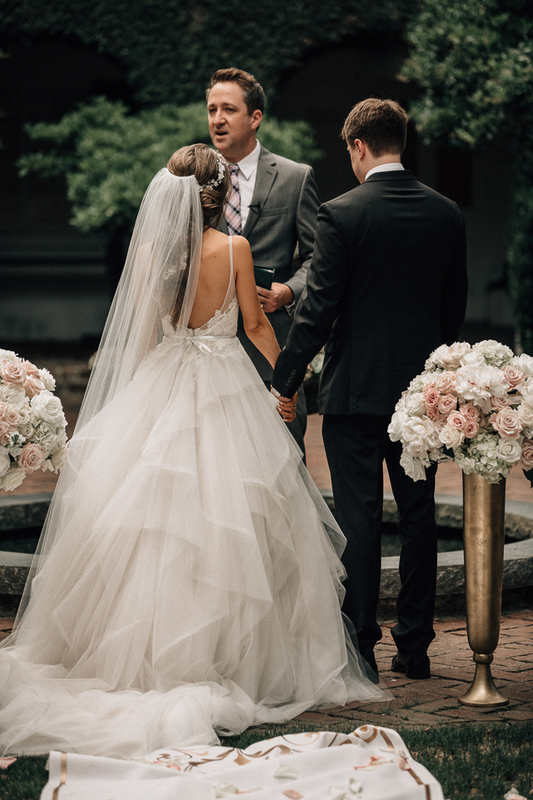 The team was so patient with me throughout the entire process, and we ultimately landed on the perfect ring for me. I wanted something more subtle and what I considered a more “manly” looking ring, and they helped me get exactly that. I really liked the look of brushed platinum, but I wanted a touch of gold, too, to make it more unique. With Diamonds Direct’s help, we came up with a vision for what my perfect ring would look like, and then Henri Daussi designed the ring just for me. I couldn’t be happier with my wedding ring. I find myself looking at, and playing with, the ring more often than I’d like to admit. The ring is brushed platinum with gold trim, and it’s the perfect mix of manly with a hint of flashy thanks to the gold accents. Aside from the clothes Caitlin helps pick out for me, it’s definitely the best article/accessory I wear, and I would never have found it if it wasn’t for the Diamonds Direct teams’ help. Thank you so much to Diamonds Direct for an amazing experience and helping a naïve jewelry shopper like me find the perfect rings. 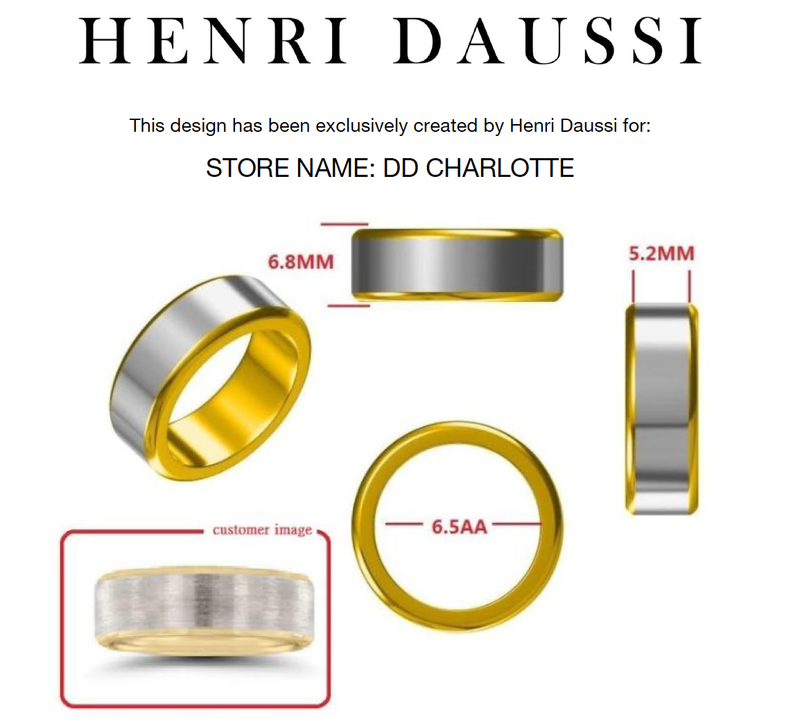 Thanks to Diamonds Direct and Henri Daussi for providing us our beautiful wedding bands! 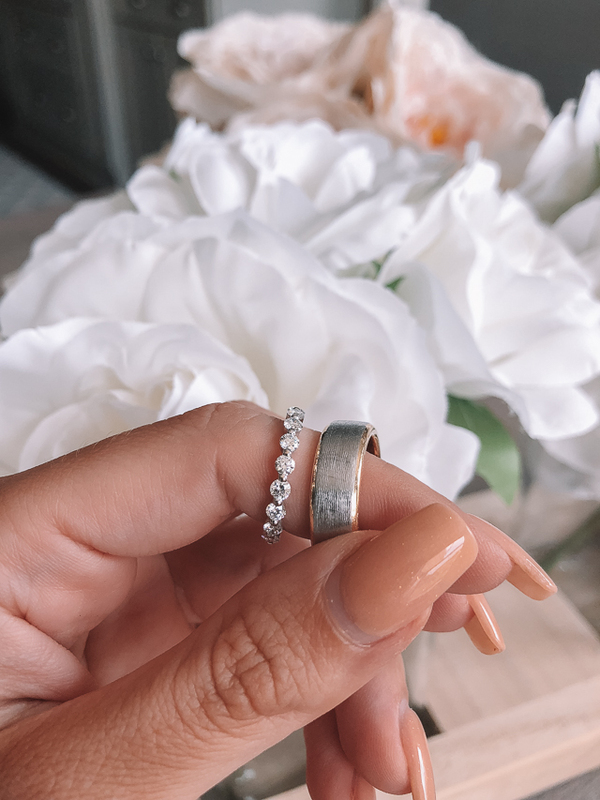 Here are a few more pictures of the gorgeous bands so you can get a better view 🙂 Every time I look down at my wedding ring + band together it makes me so happy, because it’s such a lovely reminder of our marriage and how grateful I am to be married to Chris. As always, let me know in the comments if you have any questions!! Your bands are beautiful! Absolutely love Chris's unique band. Gorgeous! LOVE Henri Daussi! Where is your ring box from? Your wedding band is gorgeous. Stunning rings! 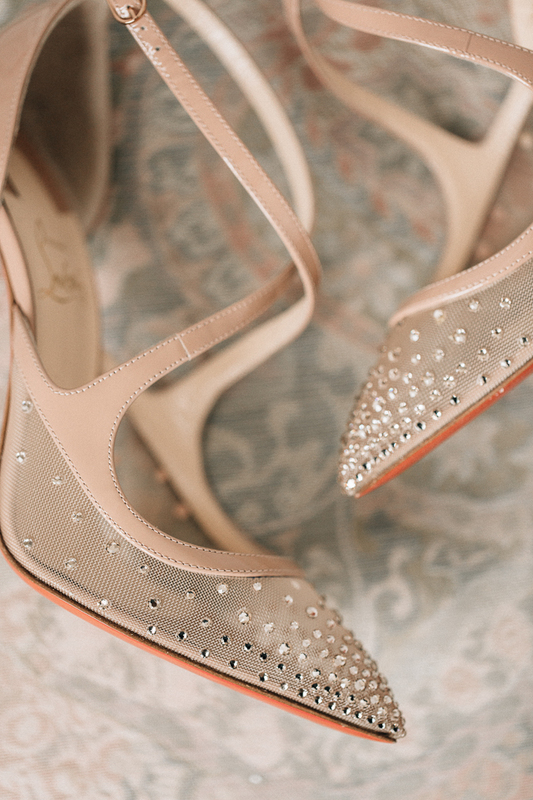 Where are your gorgeous shoes from?! I love them! Aw this was a beautiful post! And omg Caitlin your wedding band and ring are just to die for!! 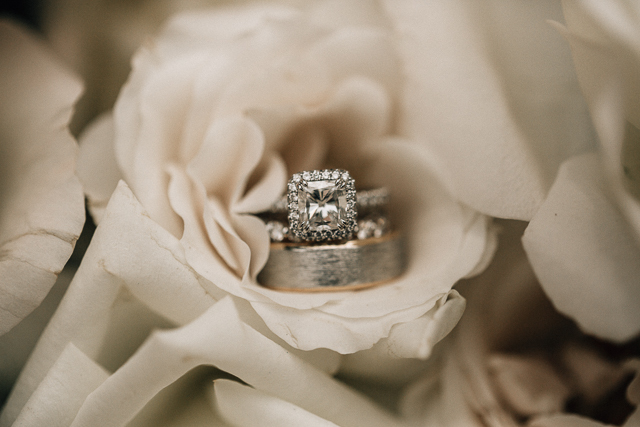 Love how your wedding band complements your e-ring! 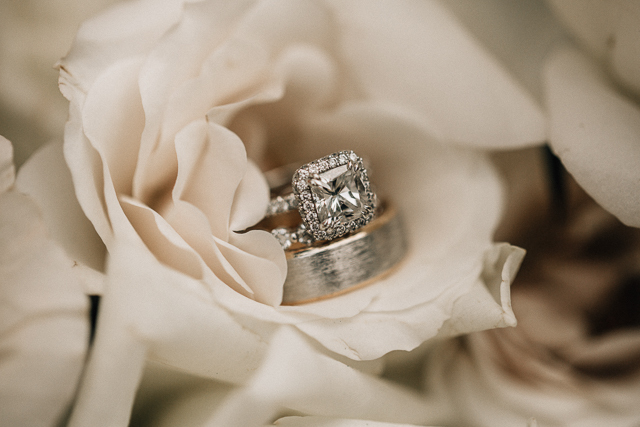 Is your e-ring a princess cut with a pave halo? 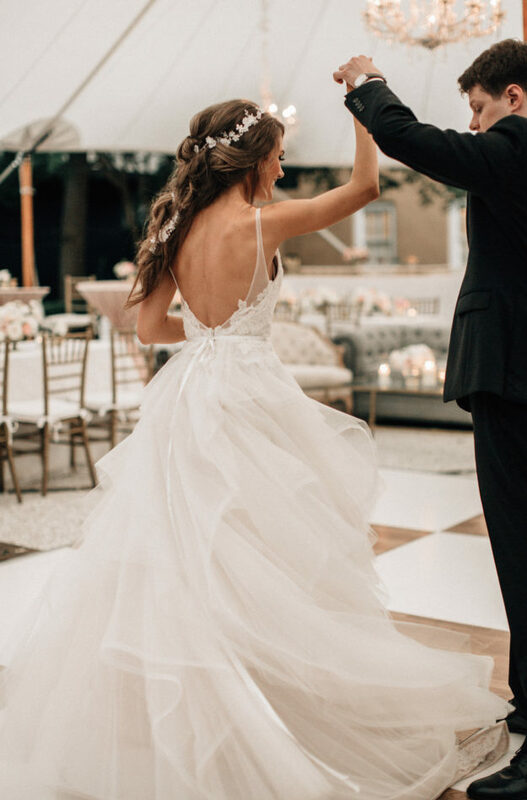 I have a princess cut and would like to put a halo around it as well! Hair question….sorry I know it’s not the topic of the post. I have wavy, frizzy hair similar to your natural hair. How do you deal with the NC humidity and keep the frizz under control and your curling wand curls to stay in place? 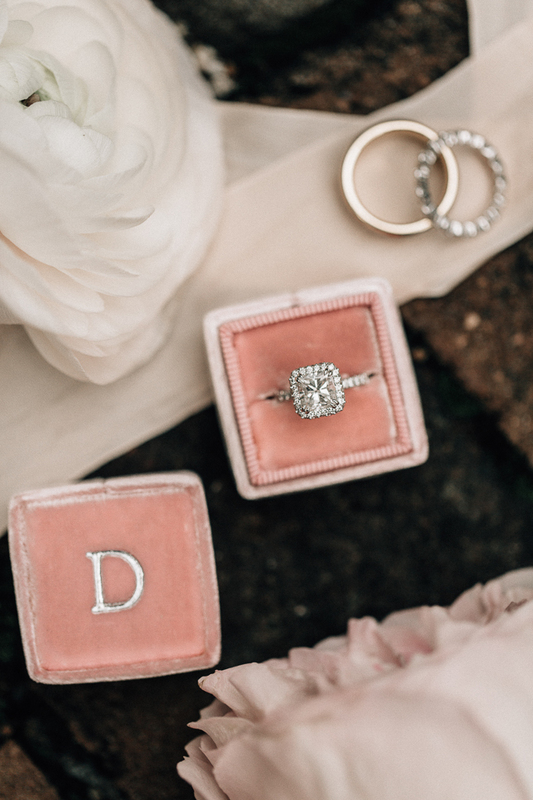 Where is your ring box from ?